05.12.07 Fifteen elementary students from Cape Elizabeth and Deer Isle - Stonington are in Nashville, Tennessee competing in the National Burt Lerner National Elementary Championship. This group is the largest contingent of players from any one New England state. In all, over 2000 players from 45 states will be playing for national titles in K-6, K-5, K-3 and K-1 divisions. 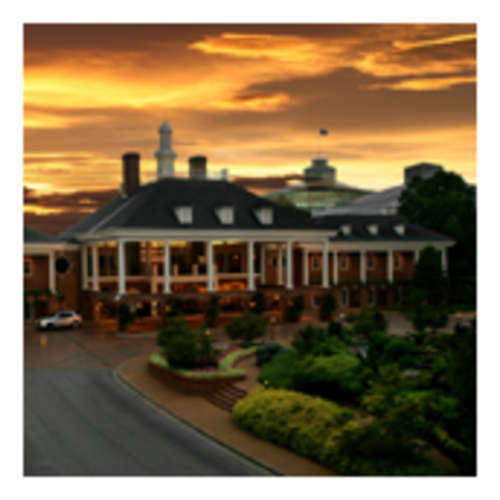 The Gaylord Opryland Hotel and Convention Center in Nashville, Tennesee is the site of the 2007 National Burt Lerner Elementary (K-6) Championship. For current results click on the Results link in the left-hand margin. After a harrowing trip that included cancelled flights, reschedulings, delays and a circuitous route from Portland to Philadelphia, Philadelphia to Charlotte and then Charlotte to Chatanooga on a propellar plane, followed by a 150-mile drive to Nashville, Maine Scholastic K-6 Champion, Matthew Fishbein arrived just in time to play in the twelve-round K-3 National Blitz Championship. The time control for blitz chess is game in five minutes, so the entire tournament--all twelve rounds--was completed in one evening. The only Maine player to enter the blitz championship, Matthew scored 7.5 points out of a possible 12 to finish as the 26th best K-3 blitz player in the nation! Congratulations Matthew! After Round 1 in the K-6 Under 1000 section of the championship, Deer Isle - Stonington has scored 2.5 points with wins by Hayden Ciomei and Connor Morey and a draw by Sam Grindle and is currently in 16th place. It was a rocky start in the K-5 Under 900 section however with DIS only managing 1 point and 43rd place. Also in the K-5 Under 900 section, Matthew Reale-Hatem of Cape Elizabeth, lost his first round game to DJ Mott (USCF 743) of Tennessee. In the K-3 Championship section, top-rated Maine player, Matthew Fishbein, won his first game vs Benjaman Fink (USCF 1049) of New York. Stay tuned for updates from Nashville! You're all winners. Congratulations. We are so fortunate in having all of you represent Maine.